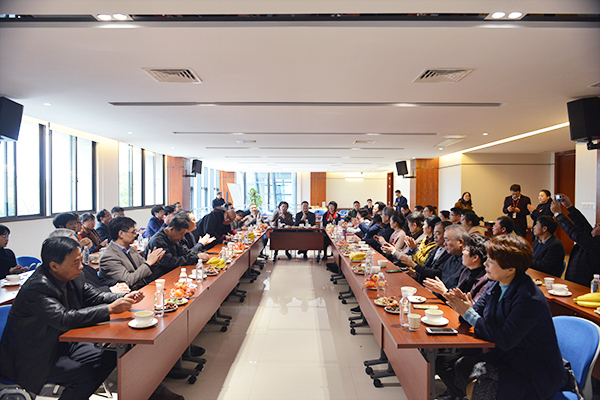 On January 20th, the New Year Tea Party of the Fujian Provincial Medicinal Fungi Professional Committee was held at the headquarters of GANOHERB Group. 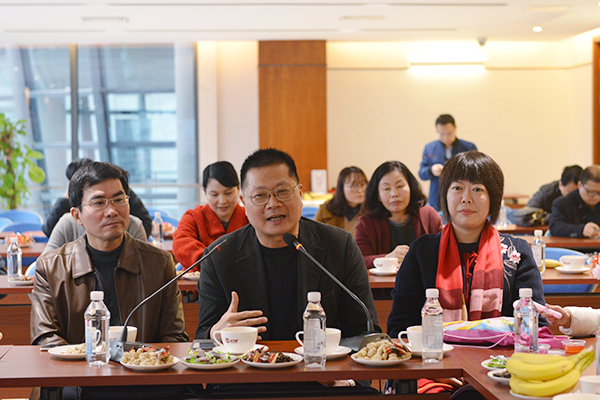 Experts, scholars, leaders and elites from national, provincial and municipal research centers, science associations, universities, and representatives of enterprises gathered together to discuss the future development of medicinal bacteria such as Ganoderma Lucidum in a pleasant atmosphere. GANOHERB hosted the tea party. Chairman Li Ye and General Manager Zhang Hua and other business leaders expressed a warm welcome to the guests and their peers. 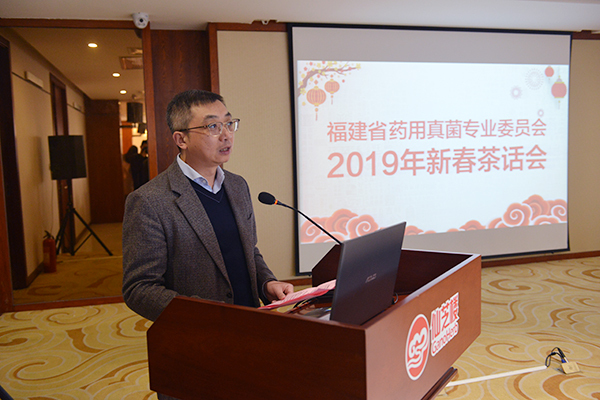 Chairman Li Ye said: As a member of the committee, I have witnessed the participation of more and more industry experts and brother companies in recent years, and I am very happy for the continuous growth of the committee! 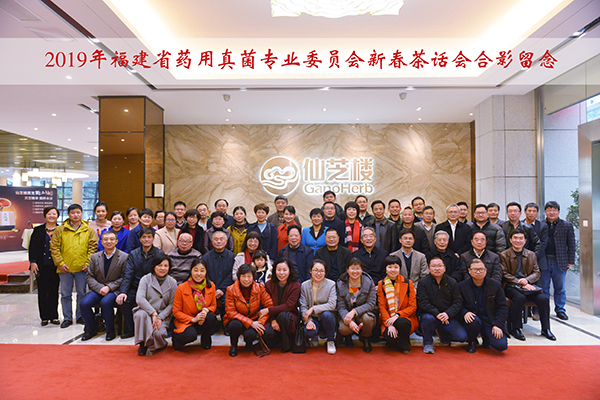 Ganoherb will work more closely with various research institutions to make greater contributions to the cause of food and medicinal fungi in Fujian. At the meeting, the participants were enthusiastic to speak and report on their respective research progress and experience. Professor Lin Shengqing, head of the expert group of the National Health Food Review Center, said: "Health food is just a national demand. The recent national rectification of health care products market is not to crack down on health care products. It is necessary to clean the market and eliminate some of the waste. The health food market will lead to a wave of rapid growth!" Researcher Lin Yanquan, director of the Institute of Edible Fungi of the Fujian Academy of Agricultural Sciences, agreed: "Medicinal fungi are treasures, precious medicinal bacteria such as Lingzhi have been included in the Pharmacopoeia. The deep processing products of medicinal bacteria such as Reishi Mushroom have been recognized by the majority of people. As long as the market behavior is regulated, the medicinal fungi will have the opportunity to create a scale of 100 billion yuan of outputvalue, so that the medicinal fungi will show great economic benefits..."
Finally, Wu Jinzhong, director of the Medicinal Fungi Professional Committee, concluded: "In the past year, the excellent enterprises such as GANOHERB have made remarkable achievements, and I would like to express my congratulations. I hope that this tea party will enhance the feelings of all parties and enhance the academic exchanges of various research centers. The remarkable scientific research results provide strong technical support for outstanding enterprises such as GANOHERB, which makes the provincial edible and medicinal fungi industry develop healthier."